Taken in August 2013 while on a BFLO Harbor Kayak tour. The trip begins at the inner harbor under the skyway and continues down the Buffalo River to Silo City. The tour offers a great opportunity to get a unique view of several grain elevators along the river including the remaining portion of the GLF elevator, Great Northern (from a distance), Electric annex, Standard Elevator, American Elevator, Perot Malting, Lake & Rail and the future home of Silo City Rocks, Marine A. 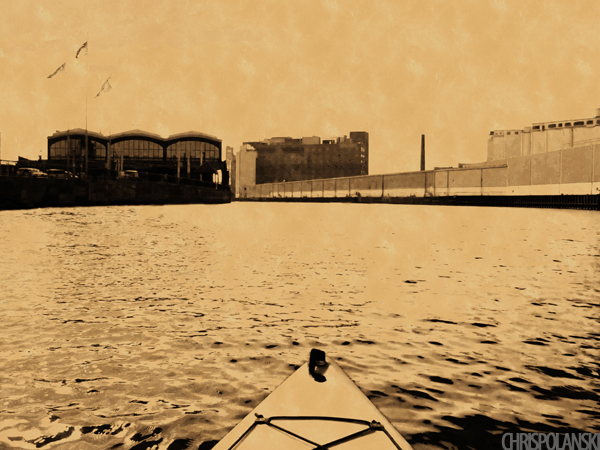 It also allows for a unique perspective of the Erie Freight House as well as both the Michigan Avenue and Ohio Street Lift Bridges.